Long-lasting, multi-use 100% recycled 2-ply paper towels, each roll contains 80 sheets. This paper is treeless, made from recycled fibres so natural resources are saved. This paper is chlorine free, and also free from dyes. European Union certified eco-label. Safe for septic and sewer systems. Each pack contains two rolls. 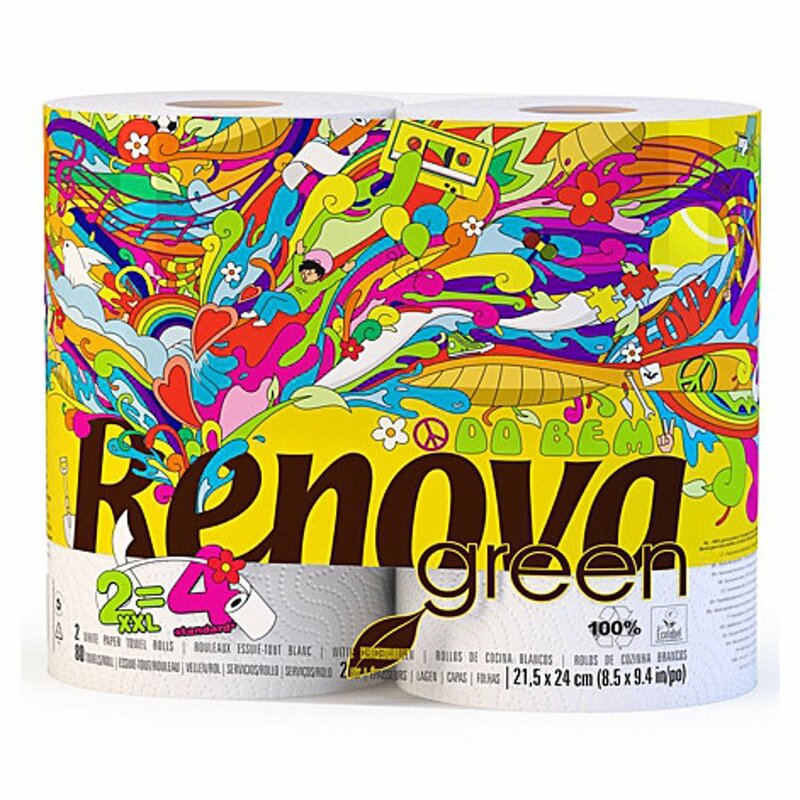 The Renova Green Kitchen Roll XXl - 100% Recycled - 2 Pack product ethics are indicated below. To learn more about these product ethics and to see related products, follow the links below. Seems OK, but would have preferred the rolls to be packaged in biodegradable/compostable plastic. 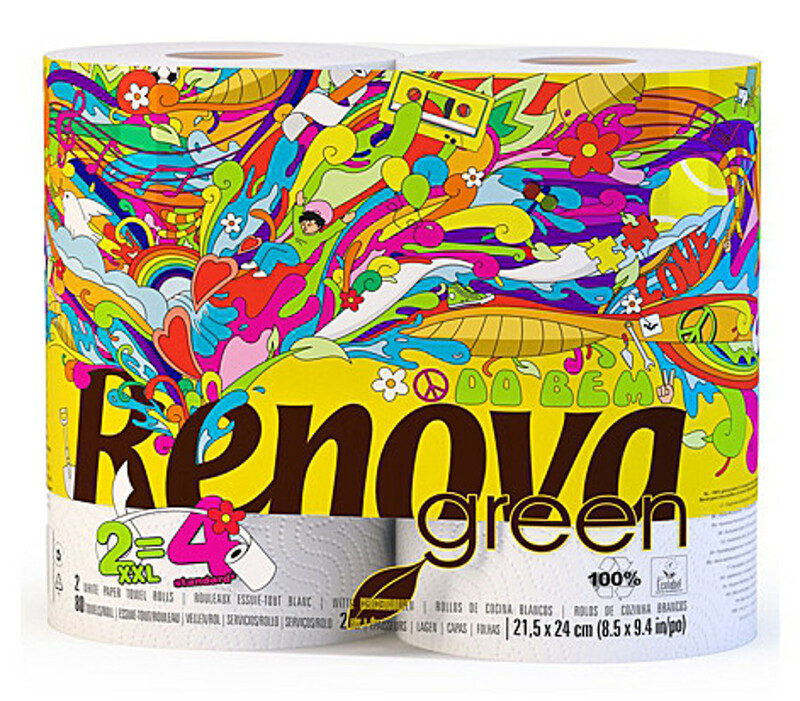 There are currently no questions to display about Renova Green Kitchen Roll XXl - 100% Recycled - 2 Pack.